After a year of smartphone releases dominated by dual and triple camera setups, Samsung will be taking things a step further tomorrow with the world’s first quadruple-camera smartphone. But with just one day to go, the smartphone, which is set to be known internationally as the Galaxy A9 (2018) and in China as the Galaxy A9s, has just leaked out entirely through Samsung’s own website. Starting with the exterior characteristics, the front portion of the device is dominated by a large Infinity Display that sits at 6.3-inches in size and includes a resolution of 2160 x 1080p. As is usually the case with Samsung smartphones, an always-on screen feature will be supported. 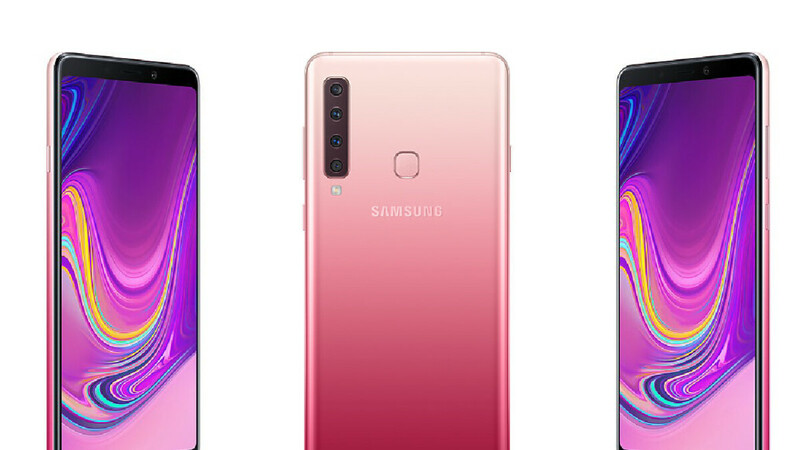 Over on the rear, the glass panel is home to a square-shaped fingerprint scanner and a rather odd-looking vertical camera setup in the corner that resembles that of the Galaxy A9 Star. While each sensor was detailed earlier today, it turns out Samsung will be offering a total of 19 image enhancement modes. These will adjust photos depending on the subject of each. Internally, this new leak confirms once again that the Snapdragon 660 clocked at 2.2GHz will indeed power the smartphone. In addition to this, 6GB of RAM is coupled with 128GB of expandable internal storage. Battery-wise, a larger-than-expected 3,800mAh cell is included, as is support for fast charging by the USB Type-C port. Other specs include Android 8.1 Oreo straight out of the box and support for two nanoSIM cards. For those who may be interested in the upcoming device, Samsung will be livestreaming its unveiling tomorrow. Sales of the smartphone will presumably commence later on this month. However, pricing still remains unclear. not even shipping with 9.0 that's been out for over 2 months? this is just embarrassing. Even with Oreo 8.1 Samsungs Experience UI is years ahead of stock Android. It isn't the point, but let's not try and pretend that Android would be the way it is today without Samsung's help. I installed Android 9.0 final on my OnePlus 6 and there is simply no discernible difference to Android 8.x. Battery life is actually worse. Look what happened on devices updated to Android 9.0 Pie. Regression like slow charge is one of issues. Samsung is testing Android Pie to insure their enhancements don't break or leak a major vulnerability. Interesting phone. I wonder if it has any audio enhancement features. Is the screen OLED? Super AMOLED, it is in the Google cache source link. I wonder if Samsung will be able to reproduce on this model what Huawei has done with its P20 Pro's Camera Night mode. I hope they do! How is this going to make any difference at all for case manufacturers? I agree, not a fan of the lens placement or shape hope this isn't reflective of the S10 design.